Google Calendar may be used by a lot of companies to schedule meetings and events, but it's not perfect. However, Google has just corrected a long-standing qualm that many have had: not being able to inform meeting attendees about why a meeting was revised. Prior to this update, changing a meeting's time or deleting a meeting altogether would leave attendees in the dark about why the meeting was rescheduled or canceled. You'd then have to send a message through a separate medium, which, depending on the number of attendees, could be tedious. 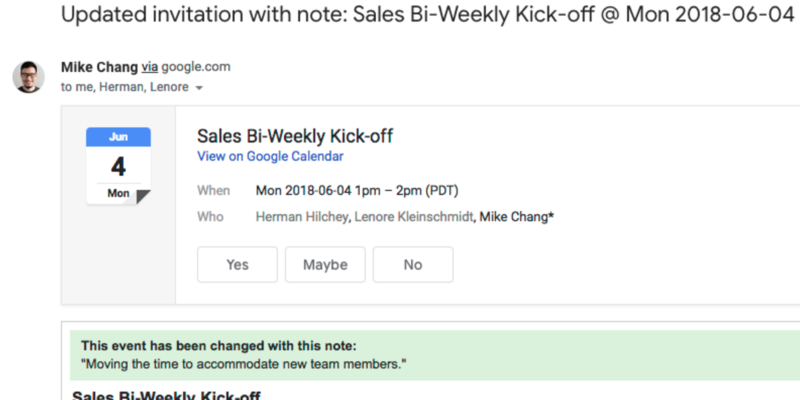 But now, Google Calendar will ask if you'd like to write a message explaining why a meeting was moved/cancelled, which will be included in the email alert sent out to all attendees. The feature is long overdue, but it's finally here. 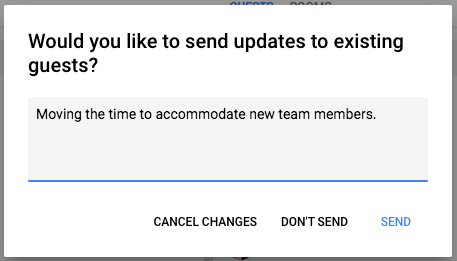 It began fully rolling out to all G Suite editions yesterday, so if you don't yet have this option, the maximum amount of time you'll have to wait is two days.